Just picked up this 1993 Nautique Excel / Barefoot Nautique. Looking forward to getting started on it! Any guesses as to what's in here? It isn't the 454... Sure wish it was. Ditch the tower and find a 454 to thrown in. Great little boat with a lot of potential. Still love my Barefoot from time 2 time, although the 230 performs flawless. ugh that tower is hideous. Yep, tower is going away first thing. Is it a GT-40? I know they weren't offered with that, but I also know how easy they are to swap in for a carbureted 351. Tower aside, it looks pretty nice from those few pics. What all does it need? It has the Pro Boss 351 285 HP with a carb. It is in pretty good shape. It is supposed to have a vibration while underway, possibly a bent shaft. We'll see. It also needs a steering wheel, a good gelcoat buff, and a few little odds and ends. Should be a quick repair! Oh yeah, I remember seeing this one for sale. It's been sitting a while after the rock strike/new prop, isn't that right? Hopefully it needs a tune-up and a driveshaft, plus the cosmetics... and not much else. That's the one. Hope that's all it needs! Man your on a boat project mission. Is this a business endeavor to fix up and flip all these boats? Does this 351 have the original electronic ignition still? I think 93 was the first year of the electronic ignition system. Have fun with this one, cool boat. Jeff your making acquisitions faster than CC. Lol. Good looking boat. Glad your gonna ditch the tower. Good luck with the flip. May keep this one, may sell this one. 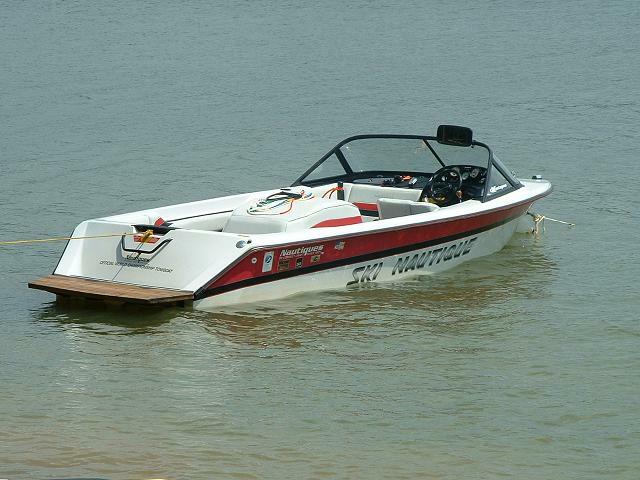 I am definitely keeping the '99 SNOB, and am definitely selling the 2001 Sport Nautique. That a wet sounds enclosure?? if so, send it my way!